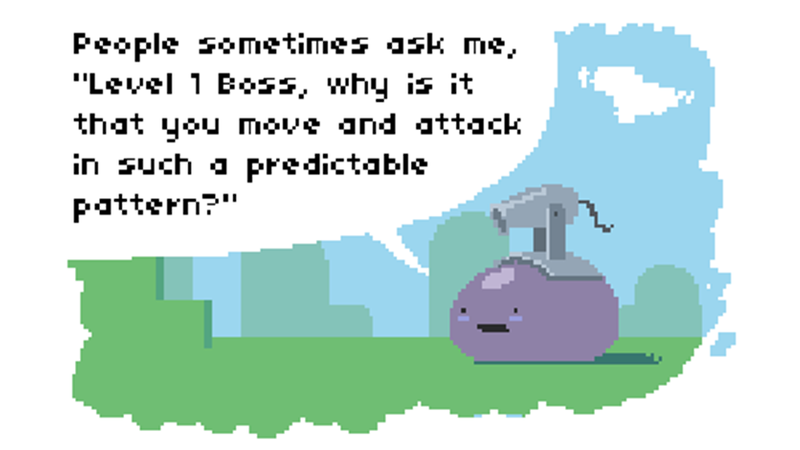 Despite what probably amounts to years of experience facing what must be thousands of intrepid heroes, the Level 1 Boss you find in most RPGs is usually fairly predictable and weak. And while the heroes continue to level up and earn status and gear in their communities, Level 1 Boss never makes any kind of upward movement. The real story of why that is, from Level 1 him/her/itself, is a little sad and insightful.